Turmeric is the new Acai. Seriously. 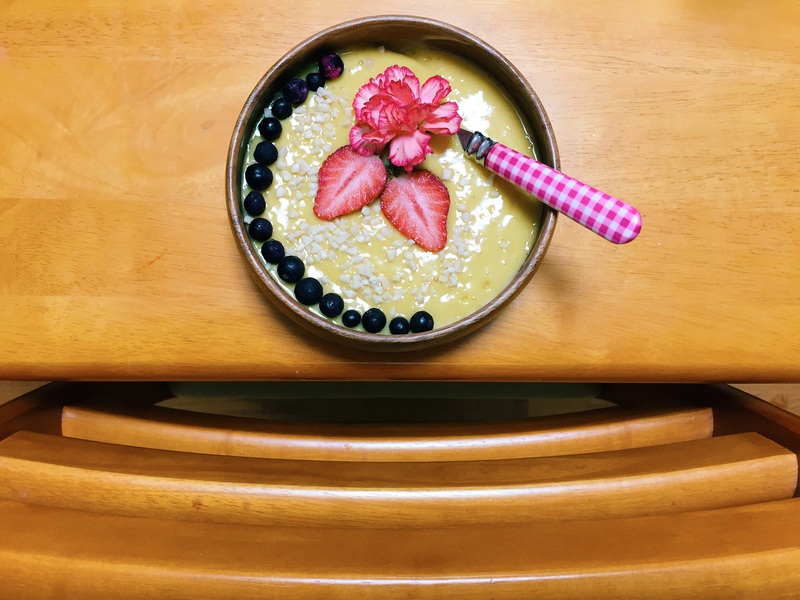 Okay, so it just happens to be trending but it’s also yellow and not only is yellow my favourite color it’s proven by science to make you happy so I made a turmeric smoothie-bowl and I was happy and it was YUM. But in other, more serious, less children’s-book wording, Turmeric AKA “Indian saffron” is a proven powerful medicine that has long been used in the Chinese and Indian systems of medicine as an anti-inflammatory agent to treat a wide variety of conditions, including flatulence, jaundice, menstrual difficulties, bloody urine, hemorrhage, toothache, bruises, chest pain, colic and more. turmeric is an important part of indian cusine, we add turmeric to almost every curry , also we drink warm milk with turmeric if there is an injury in body or pain, it helps to heal faster, never tried in a smoothie,would try it soon , that looks really yummy! I’m a fan of turmeric. It’s also just fun to say…..”turmeric”. See? I keep wanting to try a turmeric smoothie and yours looks delicious!